Please join me in welcoming Teri to the blog today! 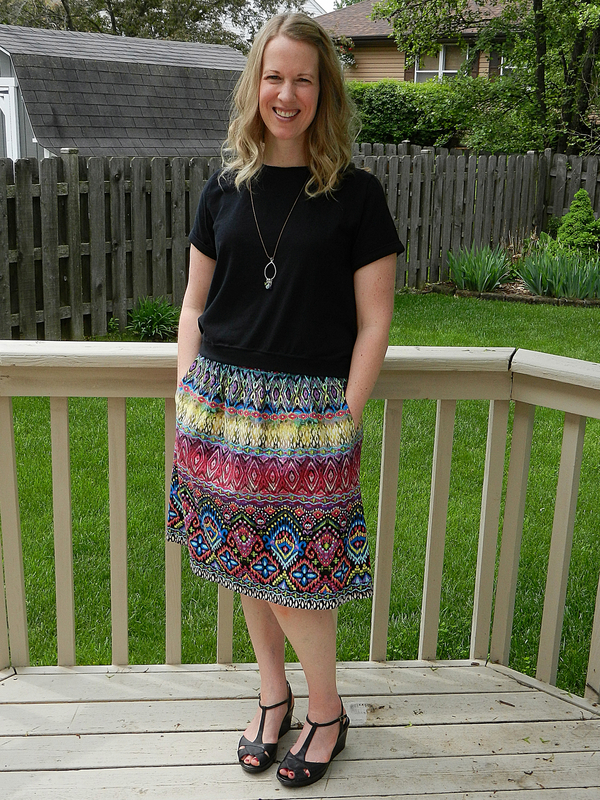 She’s here to talk about her favorite Liesl + Co. pattern, the Everyday Skirt, which really is as versatile as it sounds. We are so happy to have you here, Teri! Hi there! I’m Teri from the blog Fa Sew La. I am a stay at home mom to two boys, ages six and four, and a two-year-old girl. I love sewing and over the last four years I’ve been working on building my handmade wardrobe. 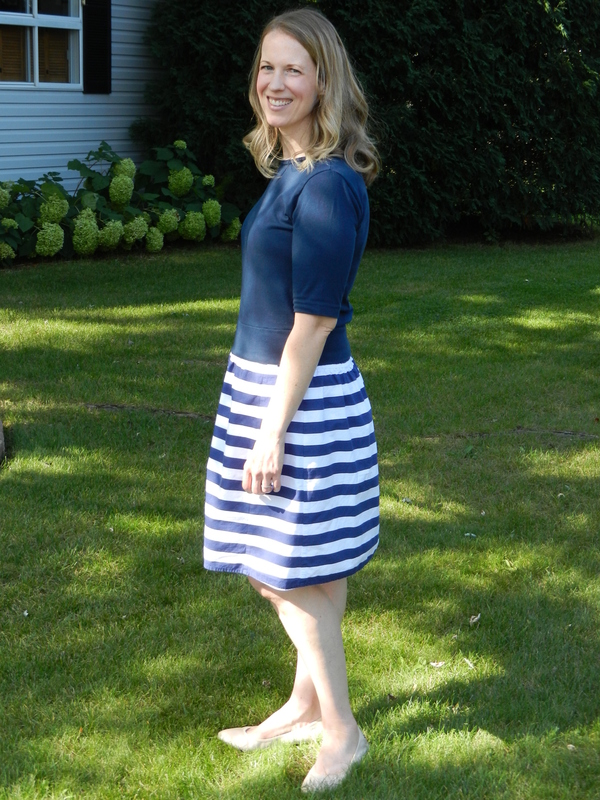 My favorite Liesl + Co. pattern is the Everyday Skirt. 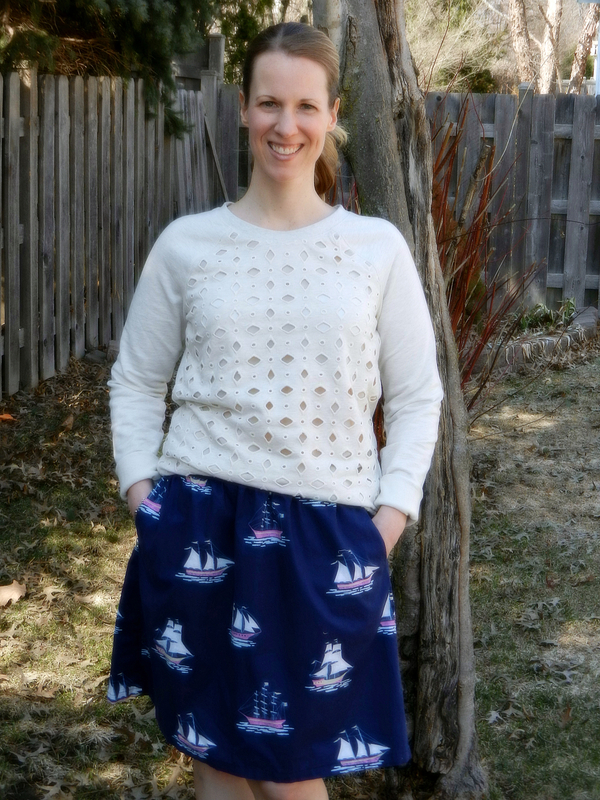 The Everyday Skirt is not just my favorite Liesl + Co. pattern, it’s one of my absolute favorite patterns to sew and to wear. I knew from the moment that the skirt was first released that I wanted to make it. I love wearing full skirts and the design of this one is so great. This skirt has fullness in the front and back pieces and flat side panels which help keep things smooth over the hips. Plus, I love a skirt with pockets! After I made my first Everyday Skirt I was hooked. I can wear one every day of the week since I have made this skirt seven times for myself and once for a friend. I’ve even cut apart two skirts that I wasn’t happy with and refashioned them into Everyday Skirts! 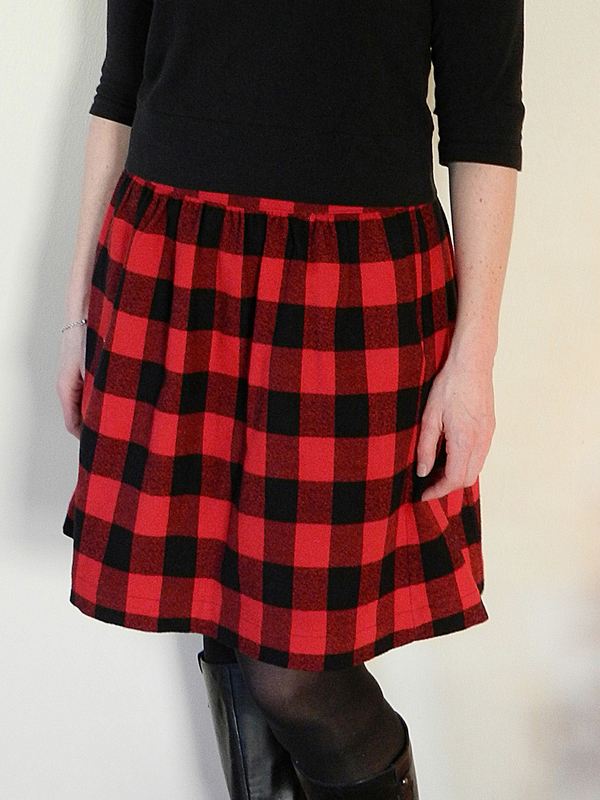 This is a really fun skirt to style. The flat front is great for doing a half tuck with a t-shirt, or tucking in a button down shirt. My favorite way to wear my skirts is with a cropped t-shirt or sweater for a fit and flare silhouette. The skirt is extra comfortable because of the elastic in the back of the waist. I’ve made this pattern in a variety of different fabrics and been happy with all of them. I’ve used novelty print quilting cotton, chambray, corduroy, and flannel. The heavier fabrics add body and highlight the fullness of the skirt. The lighter weight fabrics with more drape lay closer to the body for a slightly different look. I find there is always something to learn or a helpful technique included in Liesl’s patterns. I really like her instructions for how to hem this skirt. It’s a bit unique since the side panels of the skirt are angled and curved at the hem. The instructions say to run a basting stitch around the bottom of the hem and pull the stitches at the curved parts to gently gather in the fabric. It’s a great way to tighten the excess fabric and keep the hem nice and flat on the inside. 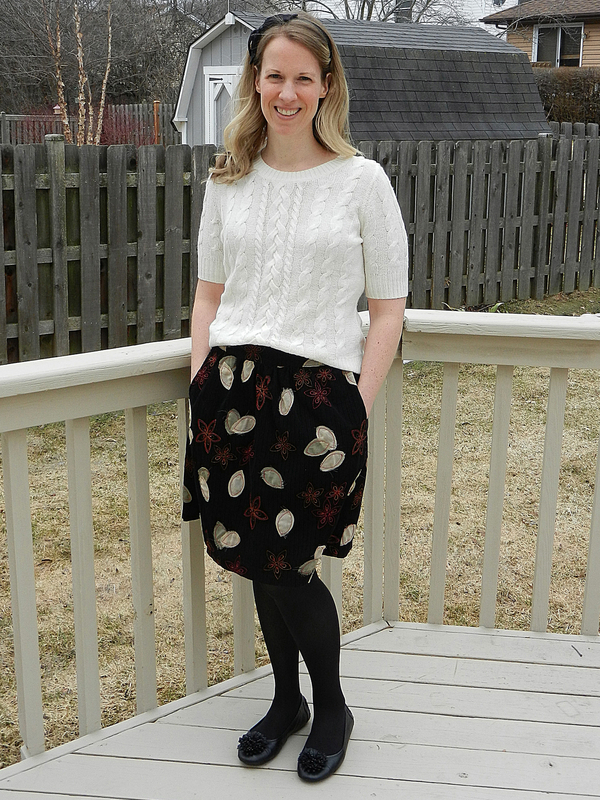 My most recent Everyday Skirt is this black and white ikat version. 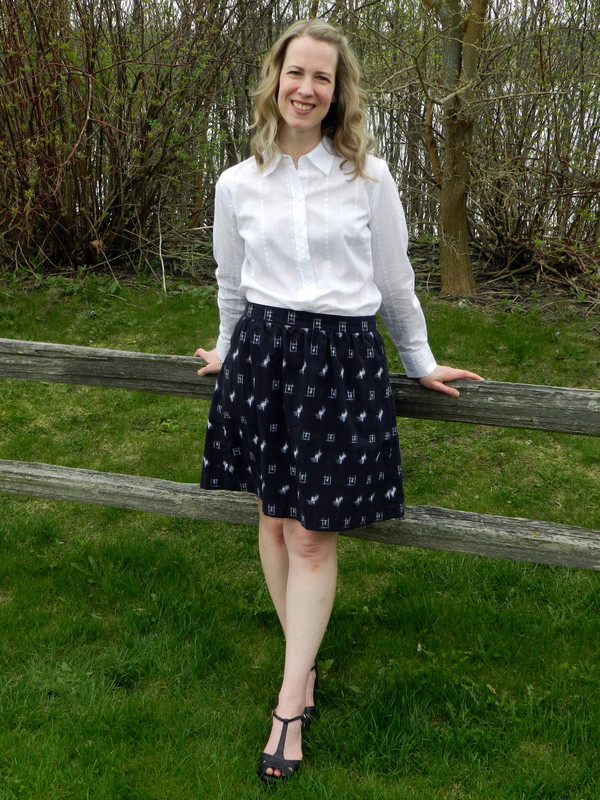 I am planning to make a denim button up shirt to wear with this skirt and I am excited to give the new Liesl + Co. Classic Shirt pattern a try. I think they will make a great pair and I’m confident that I’ll love it as much as the Everyday Skirt! A denim button up version would be so cute! Reminds of the hopscotch skirt pattern for girls.